Born in Buenos Aires, 1972. Between 1995 and 1996 she attended photography workshops with Alberto Goldenstein. From 2003 to 2005 she was a fellow of the Program for the Visual Arts Workshops CCRRojas - UBA | Kuitca. Since its formation in 1999, she was apart of Subscription, an integrated-interdisciplinary group which eventually performed publications, installations and events. She has carried out several collaborative projects such as The Photocopying Festival (Belleza y Felicidad gallery and Proa Foundation) as well as Saturdays*Illusion event held at a supermarket. 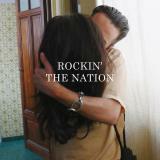 In 2005, she formed among with Rosana Schoijett Poland, a cult band. She has made numerous editorial projects, independent publications and editions. Since 2006 she publishes SCRIPT (Madrid-Buenos Aires), along with Gaston Persico and Mariano Mayer. In 2006 was selected by CIFO - Cisneros Fontanals Art Foundation (Miami) to participate in Positions in Context: CIFO Grant Program 2007 with The Copy-Paste Project: Random Wishes, in collaboration with Gaston Persico. 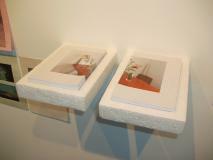 In 2007 she made at Malba - Museo Latinoamericano de Buenos Aires- Everything is possible, a diptych in time; two "giants" images displayed in sequence. The project took one year to be completed. In 2008 participated in SOS 4.8, International Festival of Artistic Action Sustainable Murcia, Spain, with the project Approaches to a movie. She has exhibited individually at Belleza y Felicidad Gallery and the Rojas Cultural Centre, Bs As. She has also joint group showings such as: We, Lizabeth Oliveria Gallery, Los Angeles, Rockin 'The Nation, Traschi Gallery, Stgo. Chile; ssshhhhh, CCEBA; Ouro sentimental, MAC Niteroi, Rio de Janeiro; BUREAUCRACY!, Alianza Francesa de Buenos Aires, Aladelta, Franco-Namibian Cultural Center, Windhoek, Namibia; Country, Hogar Collection, New York, At some place someone is traveling furiously towards you, House Lit, Madrid. 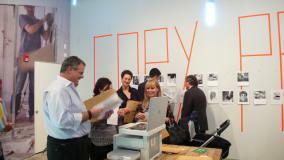 With the Suscription Group can be highlighted: Memo, Goethe Institut Buenos Aires; Monoambiente, Casa de America, Madrid, Anytime, Triennial Poli / Gráfica, San Juan, Puerto Rico. "Approaches to a movie" is a film not supported on a display, but on sheets of paper. A film that is "projected" while is being printed. 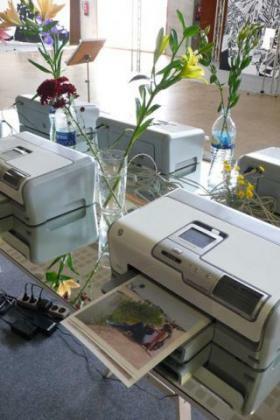 Several desktop printers allow us to see different sets of images and texts printed in real time and structured narrative sequences through the addition of a leaf after another. Visitors can see in "live time" how each of the series will be activated. 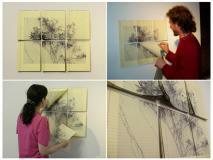 Anything is possible is a diptych in time: a work made of two images that are displayed sequentially. The project is one year long, site specific. 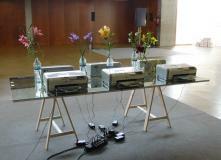 Inkjet printing on paper, 800 x 400 cm each. Malba - Museo de Arte Latinoamericano de Buenos Aires. 36 artists invited to participate, material available for photocopying, photocopier loaded with pre-printed papers: random wishes, envelopes A4, tv / dvd, mural printed on inkjet paper, plants, pallets, mirrors, mirrored basquet, fluorescent tubes and low consumption lamps, desk units, etc.. In collaboration with Gaston Persico for the Positions in Context exhibition: 2007 CIFO Grants Program Exhibition, CIFO - Cisneros Fontanals Art Foundation- Miami. Invitation to exhibit at Traschi Gallery, Santiago de Chile. In collaboration with Gaston Persico. A whole year telephone conversations put on stage. The showing also included an edition and a lecture. In collaboration with Mariano Mayer and Gaston Persico. 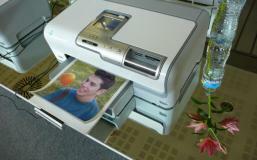 Inkjet prints on various papers, photographs, notebooks, Styrofoam. For the Ouro Sentimental exhibition. MAC - Niteroi, Rio de Janeiro. 72 units A2, 500 x 345 cm. 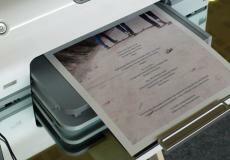 Inkjet printing on paper. Part of the show Somehow. Belleza y Felicidad Gallery, Buenos Aires. 6 pads, 50 pages each. 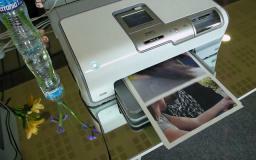 Inkjet printing on paper. Visitors can tear and take the leaves with them. Part of the show Somehow. Belleza y Felicidad Gallery, Buenos Aires. 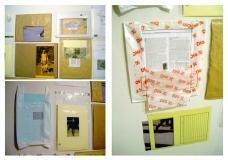 My work is usually presented as a continuum -not exactly in a straight line, not necessarily forward-. Sometimes I stop and something becomes visible to the rest of the universe or, generally, to my friends. One of such moments was named Somehow and took the form of a showing at Belleza y Felicidad Gallery on my birthday in 2004. 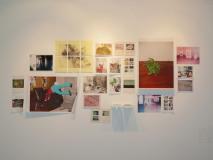 It was my third solo show, and like the previous ones, had some installation character -or un-installation, perhaps-. I was always interested in ways in which things -and people- relate, that's the place where I can find some meaning or workspace, that is in the air that flows in the middle, always in motion. The various pieces that formed the Somehow showing functioned as links within a specific site and sometimes towards others. I Describe. An image covered the entire bigger wall of the space. It was a photograph of the corner of a room, you could see clothes strewn on a chair, a blue adidas, half "do it yourself " closet and lots lots of wall. I printed it in 150 modules in A2 sheets, obra paper, with a desktop printer with wide carriage. Being printed in parts, and with no original printer cartridges, the final surface presented different colors and texture, and sometimes also faults and mistakes that filled me with pleasure. The “aesthetic touch”, just kills me although in later works with this giant photos, it lost importance. The "super poster" measured about 900 x 400cm and was crossed by two gates that soaked through the image, one of them headed to a bookstore and the other one to Margarita Ciarlotti´s exhibition. Somewhere it also penetrated the lid with the light switches of the room. In this work, I especially liked what was being worked out in the space, somehow it seemed as if the room had more continuity, like a fake FX, to a off-scale intimate space. Something strange also happened with the picture: somehow it tended to disappear; an image: 9x4 meters of information that almost disappear before our eyes! On another wall there was a set that conformed another "unity". An edition of photos printed in various papers and sizes (photo paper, sheets of notebook paper with notes, paper work, colored paper), texts, two posters, prints with old run down cartridges - gr! The aesthetic monster again. Some images appeared repeatedly, some other referring to other previous work. The idea of doing different works with the same material attracts me and I allow myself to explore it. The edition was not armed with a narrative approach or thought of as a diary, but the elements were connected spinning on various axes. I think I could do a summary table of these relationships. In addition, there was a "shower-curtain" falling on this group of elements, it was made of artificial vines that covered much of the material. The vines served as an alien, an unwanted and annoying guest. But who can say no to a plastic climbing plant? 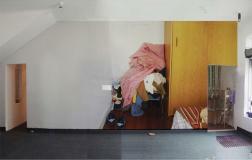 In September 2005 I saw an installation by Mark Borthwick in a group show. 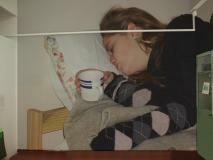 Among other things, he had placed a photo editing on a wall which was at the same time hidden by a curtain of strips. I love when these things happen, like the possibility of someone listening to the same disk at the same time somewhere else. Mark also invited ginger chocolate that he prepared himself as part of the installation, delicious. I served cake-brownie "special" cake prepared by my sister, remember it was my birthday. Mark played the drums. I did not. But we danced a lot. There were a couple of more things at the Somehow exhibition, but I'll just mention one last piece: Six-lined blocks of paper, yellow and stripped, on which I printed a picture of a bush. Each block had printed a portion of the image, like a puzzle. The visitors could then tear the leaves and take them. I think of a patchwork that moves with the same ease of someone who walks around home. Like looking absently out the window of the bus. I want them to get confused, mixed with one's thoughts. So perhaps I could try some -many- tastes, affections, which could make a wonderful party. Wili Peloche, Bruce La Bruce, Alberto Goldenstein, Wolfgang Tillmans, Gaston Persico, Copodeazucar, Roni Horn, David Lamelas, Cosima von Bonin, Mark Borthwick, Fernanda Laguna, Wes Anderson, Kim Gordon, Francis Alÿs, Marcel Dzama, Rirkrirt Tiravanija, Daniel Joglar, Spumco, Roberto Jacoby, Mariano Mayer, Travel Agency, Kraftwerk, Eubel, Miguel Mitlag, Veronica Mars, César Aira, Repent, Lola Goldstein, John Tessi, Andy Warhol, Djs Pareja, Philippe Parreno, Brandon, Rosana Schoijett, Valentina Liernur, Sebastian Bruno, Lisa Simpson, Diego Bianchi, Martin Margiela, Gary Pepper, Gabriel Orozco, Rudamacho Felix Gonzalez Torres, Feliciano Centurion, Max Gomez Canle, Ich, Leopoldo Estol, Damian Ortega, Diane Arbus, Kevin Blechdom, Kevin Smith, Nuevotrabajo, Sergio De Loof, Cassetteplaya, Marcelo Pombo, Owen Wilson, Delaware, Doug Aitken, Andi Nachon, Gotitaelectrónica, Mike Kelley, Raul Flores, Xmalinax, Guillermo Ueno, Success, Kompakt, Fabio Zimbres, Enlarge, Sophie Calle, Justus Köhncke, Iñigo Monglano-Ovalle, Miltos Manetas, Alejandro Ros, Otto Seibold, Reynolds, Guillermo Kuitca, Hernan Salamanco, Rineke Dijkstra, Fiona Nijensohn, Ines Acevedo, Veronica Roman, Gaby Bex, Villadiamante, Yoshitomo Nara, Nan Goldin, Sebastian Gordin, Planningtorock, Cobra Killer, Gordon Matta Clark, Mark Leckey, Daniel Mirkin Frois, Dominique Gonzalez-Foerster, Ruy Krygier, The Japanese pencil, Sofia Coppola, Eduardo Costa, Maximo Pedraza, Ruben Zerrizuela Diego Vecchio, Sarah Lucas, Julian Gatto, Matías Rossi Melina Dorfman, Deborah Pruden, Paul Lapadula, Rapa Carballo, Cynthia Kampelmacher Ariel Cusnir, Elisa Strada, Kiwi, Nacho Iasparra, Eduardo Navarro, Klara Domini, Ivan Mezcua, Marcel, Jesus and Cleopatra, VJ Lima, 10folios, 4x4x5x6, Fabian Bercic William Faivovich, Yanina Szalkowicz, Karina Peisajovich, Nushi Muntaabski, Javier Galarza, Maria Guerrieri, Duville Matias Nicolas Mastracchio, Jorge Miño, Isol, Paula Galli, Aldo Benítez, Champion, Asimegusta, Paula Delgado, Carlos Huffmann, Daniel Castignani, Ariel Lavogue, Ariel Mora, Jason Rhoades, Michael Haneke, Alejandro Ikonicoff, Fabiana Imola, Headquarters, Luciana Lamothe, Lardiés Luciana, Juliana Iriart, Thomas Demand, John Bock, Vicente Grondona, Donna Huanca, Marula Di Como, Marcelo Lopez, Cristina Schiavi Cristian Turdera, Christian God, Mark Dion, Peter Fischli and David Weiss, Navin Rawanchaikul, Poesiapura, Shinobu Yaguchi, Leandro Tartaglia, Dani Umpi, Istmo, Instant Coffee, UR, Charly Darling, Jesusjuice, Alberto Pasolini, David Lynch, Erwim Wurm, Mandla Reuter, Mariano Grassi, Luis Guerra, Ale Star, should I go on? Some other day, perhaps. I deeply admire people with good memory, mine is pretty bad, however, trivial acts, minor actors, lyrics by Ricardo Arjona, insist on remaining like temporary files that I cannot erase. So I'll just name a few, of the many that I liked and surely during the week many more will be reappearing in my head while doing anything else. All Travel agency gatherings. In particular the tribute to Di Giorgio Marosa in the gardens of the Fernández Blanco Museum. Belleza y Felicidad at Proa Foundation. For the gesture. I especially remember – I remember! - "This drawing is worth $ 500 because it has your picture." And the debate ... "Geography" by Dani Joglar at Dabbah Torrejón. I mourn with emotion next to one of his reams of paper. "Flâneur" by Alberto Goldenstein. Very, very, very fine. "More than this," Gaston Persicoi (my boyfriend, can I ?) at Belleza and Felicidad Gallery. May Spiderman always take care of us and Bill Murray sing in our ears. "Tourism" walk through the Agronomy Faculty by the Rudamacho Group. "Darkroom" by Roberto Jacoby. 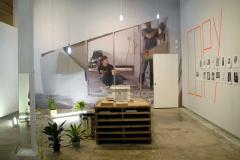 "Early personal interests" by Leopoldo Estol, Lola Goldstein, Eduardo Navarro, Carlos Huffmann. 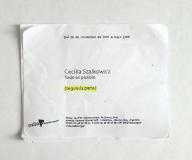 “Brandazzadeaduriz” at Alberto Sendrós Gallery. “Tupperware” by Estol Leopold in "Early personal interests." "Motion Pictures" by Andy Warhol (yes, I know he was not Argentine) in Malba. Gaston and I were the last to leave the room, almost dragged by the staff. 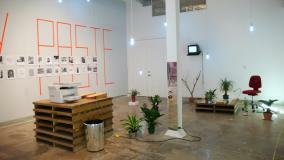 And from 2006: "Jardines de Mayo" at Casa de la Cultura, and "Pasajeambar" by Juliana Iriart at Appetite Gallery. Please see Ramona Magazine # 50, page 93, second to last paragraph. Copy-Paste.